Lynne studied at Otago University and Auckland University. She has a BA in Psychology (Major) and a MA (Honours First Class) in Psychology. Lynne worked in private practice for 28 years providing psychological counselling to individuals, couples and also helped organisations and groups such as Victim Support and Voluntary services. Based in Parnell, Auckland , she started up a clinic and brought in other Psychologists, Psychiatrists and Family counsellors so as to provide an integrative service to individuals seeking help and guidance. She has worked in many areas and brings a wealth of experience and professional skills to assist. Some of her key interests have been working with those who have suffered loss or illness, couples struggling with relationship issues, individuals dealing with depression, stress and those searching for meaning in life. For several years she worked in the area of trauma, providing debriefing for agencies and working with individuals who had experienced trauma. She also provided EAP(Employee Assistance Programs), workshops for groups and Corporates as well as working in the area of Court Reports. She has been working in Sydney since 2013 providing the same services. Based in Challis Avenue in Potts Point she is providing a safe, confidential service to individuals who are wishing to address issues affecting their life and well-being. She works also with couples and families who wish to improve their relationships or resolve issues creating difficulties. Her ethos is that you don’t have to just live with issues that impair your quality of life – you can take agency over your life and value yourself by addressing issues in a safe and effective way. 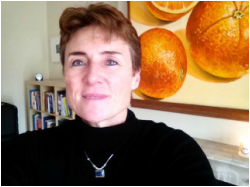 Given some individuals find it hard to go to an office for sessions, Lynne is also providing Skype sessions to those in Sydney as well as in other areas and overseas. These are proving to be very helpful to those who find it hard to gain time to travel to a location.